Recently, Pamela and I saw a stunning motion picture. I'm still recovering. This comes your way as a simple, pastoral encouragement. There are movements which reflect God's heart for the unborn whom He is shaping in the womb. Annually, the 40 DAYS FOR LIFE organization and movement keenly raises our awareness to the unbelievable, massive destruction of human life in our country and around the world. My encouragement? 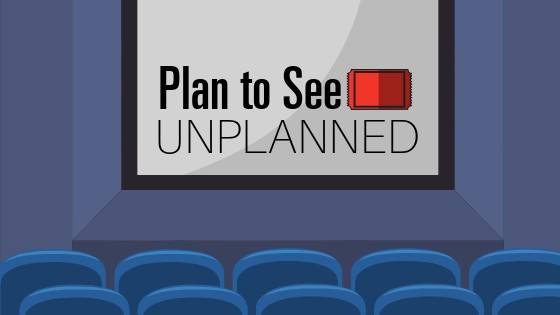 Plan to see UNPLANNED. It is a sobering watch, and likely not suitable for anyone younger than in their High School years.